A good Learning Management System (LMS) helps organizations and training institutions impart excellent education and courses to their employees and learners. If you are looking to invest in a suitable LMS for your needs, you don’t have to look beyond Docebo. It is a mobile-ready, scalable platform that is used by top brands such as Thomson Reuters, Sharp, Bloomberg, Clarizen, and Accenture. But how much does Docebo cost and is it worth the price? This article discusses Docebo’s price plans and free trial and compares them with those offered by five leading competitors. After analyzing most popular LMS solutions our SaaS experts were highly impressed with Docebo’s features and functionalities. In addition to that Docebo offers a really flexible pricing plan that can be easily adjusted to meet the individual needs of your company. There is also a great free trial plan that allows you to try out all the key features of the software first. You easily sign up for the Docebo 14-day free trial here. Other benefits of Docebo include an effective ILT-classroom feature where you can upload and share training materials in a variety of formats such as PPT, PDF, video, SCORM, and Tin Can files. Docebo also automatically converts video files into MP4 format. The system offers top rate reports and analytics to help you measure the effectiveness of your training materials and understand how students benefit by participating in the courses. Docebo also smoothly integrates with a range of third-party apps. For web conferencing there are Adobe Connect, WebEx, and Teleskill, for Content Management System (CMS) there are WordPress, Drupal, and Joomla, for social media there are Twitter, LinkedIn, and Facebook, and for online customer interactions Docebo integrates with Vivocha. Finally, instructors can sell the learning courses they create through Docebo’s eCommerce app. They can set affordable prices for the courses and can keep 100% of the revenue gained. One of hhe main highlights of Docebo that it offers access to a course marketplace that is filled with free courses. It also integrates smoothly with widely used apps like Google Apps, Google Analytics, and Gmail and its payment is based only on monthly active users who use the software. What is more, you can access Docebo on mobile devices to learn anytime, anywhere. Docebo’s immense popularity can be gauged from the fact that is used by more than 28,000 organizations in more than 70 countries. If you want to learn more about Docebo pros and cons its features you can find more information in our detailed review. How much does Docebo cost? Docebo pricing plans are designed to match the current needs of your organization to ensure you’re paying for the features you are actually using. At the same time, its plans are scalable to support your future needs as your business grows. When choosing a plan, you will select based on your organization’s number of learners, needed features, and services. Due to this, you have to contact the vendor and request a quote that fits with your specific business needs. 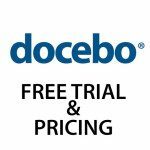 If you don’t want to invest in the software yet, you can sign up for Docebo free trial here so you can check out its features at no cost for 14 days. This can help you test drive the software firsthand to determine if it matches your business needs and workflows. It also provides a good starting point in choosing a plan that fits your requirements. Additionally, you can schedule a personalized demo to see how you can use the platform for your employees, clients, and partners through its learning programs. Docebo has two plan options: Growth and Enterprise. Growth is designed for growing your learner base.  It is quick to launch and highly scalable. Meanwhile, Enterprise is built for companies that want to achieve a high-performing learning organization that drives growth for their employees, partners, and customers. The Growth plan has a threshold of 300 active users (users who log in and access content) within a 30-day cycle. If you need to accommodate a higher number of users, you may contact the vendor for additional user threshold. Docebo is undeniably one of the top LMS systems because of its excellent features and reliable customer support. However, you can also check out the following five apps that offer similar services and functionalities. Schoology LMS is a good quality learning management system that offers the following features and benefits: instructor tools, curriculum management, global learning community, advanced analytics, calendars, messaging, and personal/shared content. Schoology offers two versions: free and paid. The paid version is priced at $10 per student plus a one-time fee. Feel free to contact the company for more pricing details. Brightspace LMS does not provide pricing information on its website, but you can contact the company directly for a quote. This LMS offers such benefits as the built-in analytics feature that lets you analyze the performance of an individual, unit, or organization. You can also enjoy the Degree Compass tool that uses predictive modeling to personalize the course selection process. It offers only the elective and core requirements in which students are likely to be successful.